The European Parliament’s Committee on Industry, Research and Energy has voted on its Report (consolidated Report) on the Renewable Energy Directive, which includes what the Environment, Public Health and Food Safety, previous voted for as regards the sustainability of forest biomass sourcing. More developments within the European Parliament are expected any time prior to the plenary vote on the Directive expected in early 2018. 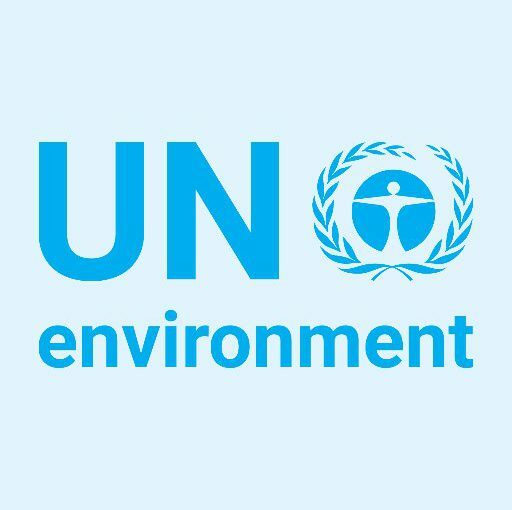 EUSTAFOR, together with other relevant stakeholders, has commented on the vote of the ENVI Committee (joint press release), supporting the maintenance of the risk-based approach and criticizing the references to cascading use and the restrictions on feedstocks eligible for the production of advanced biofuels. Specifically, EUSTAFOR is advocating the deletion of a reference to market distortion (Article 26), restoring the European Commission’s feedstock list (Annex IX) and the definition of advanced biofuels. Further developments within the European Parliament are expected anytime prior the Plenary Vote on the Directive expected early 2018. With regards to the discussion within the European Council, on 18 December the Council has adopted his position which should be positive for the forestry sector. Nevertheless, further analysis is needed to understand the impacts it may have on the forestry sector. Consult the previous eustafor.express update on this topic (link). The EUSTAFOR Executive Committee’s most recent and last meeting of 2017 was hosted by Bayerische Staatsforsten AöR on 16-17 November 2017, in Regensburg. 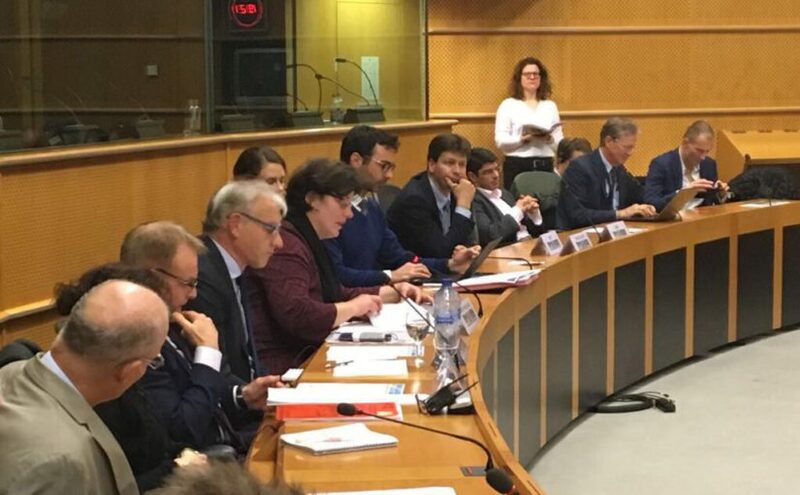 The meeting discussed a number of policy-related issues such as EUSTAFOR’s Policy Brief (that provides 8 policy recommendations for the ongoing review process of the EU Bioeconomy Strategy), the state forests’ position on the role of forestry measures in the new CAP and RD policy post 2020. Subsequent to the departure of Juha Mäkinen from Metsähallitus, the communications project was closed at this stage. The minutes of the meeting and all relevant documents are available on EUSTAFOR’s Intranet under this link. Coillte is a commercial forestry company, owned by the State, that manages approximately 7% of the country’s land. Coillte operate three strong businesses from this land – their core forestry business, a wood panels manufacturing business MEDITE SMARTPLY and a land solutions business. Coillte export to over 30 countries worldwide. Coillte’s vision is to be the best forestry and land solutions company in Europe. 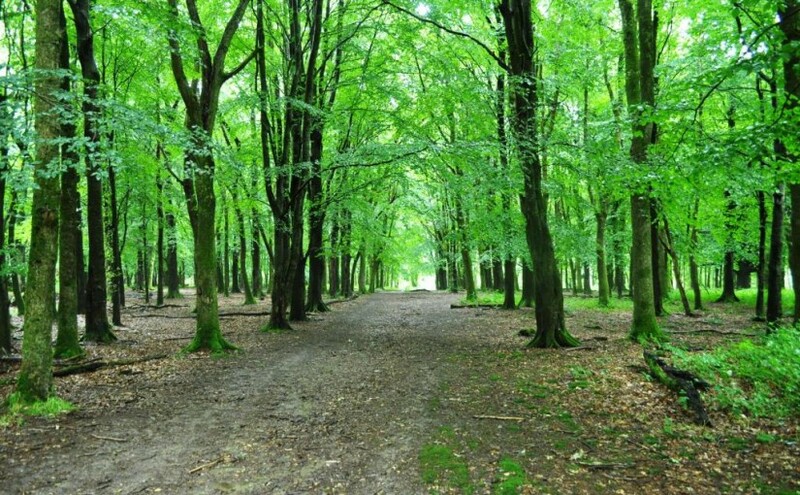 Coillte Forest division have an exciting opportunity for a Silviculture Specialist to provide a technical and operational support service across establishment and tending operations, to develop and implement efficiency and improvement programmes and initiatives that deliver improved forest productivity and add value. Also, it is available an exciting opportunity for a Seed & Veg Propagation Manager to plan and implement the seed and vegetative propagation production programmes in line with agreed budgetary targets, and the delivery of exceptional levels of product & service quality to both internal & external customers. The Trilogue (European Council-Parliament-Commission) negotiations were finalized on 14 December 2017 with a provisional agreement on the LULUCF proposal. The major controversy concerned the calculation of the Forest Reference Levels (link to previous update in eustafor.express) and EUSTAFOR, together with other partners, contributed to this debate. 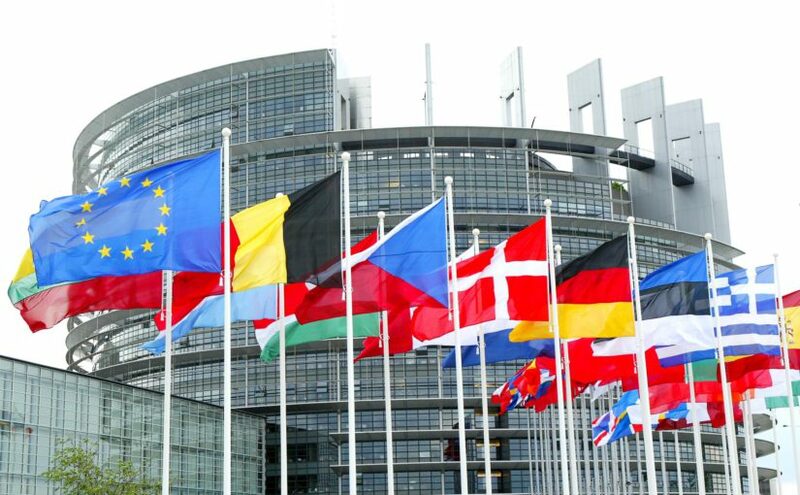 The latest official action was a joint letter to the Trilogue negotiators (link to letter). The final outcome (link to press release) can be assessed to be positive for the forestry sector when compared with the three different positions originally held by the Parliament, Council and Commission. This is because the reference to constant material-bioenergy ratio has now been moved into the annex, the reference to the intensity of the harvest is deleted, while the compensation mechanism (Council proposal) has been kept. The impact of the chosen period (2000-2009) for the forest reference levels compared to other proposed periods (2000-2012 by the Parliament, and 1990-2009 by the Commission) is difficult to evaluate. On one hand, the Commission explains that 2009 is a cut-off year because of the entry into force of the Renewable Energy Directive, which they consider to be a sustainability risk for forests. On the other hand, management practices (including intensity) and how forests have been developed in terms of harvesting, age structure etc., may have varied greatly between individual Member States during the chosen reference period. Therefore only proper quantitative assessments at MS level can provide more clarity on this parameter. At this stage it is important to assess the impact of the Regulation on forestry and especially on state forest management organizations before defining which role EUSTAFOR can play to facilitate the implementation of the Regulation. The report was presented on 23 November 2017 at an event hosted by MEPs Adina-Ioana Vălean (Romania/EPP) and Rebecca Harms (Germany/Greens-EFA), including a panel debate chaired by Catherine Bearder, MEP (UK/ALDE). The presentation stressed that the work that has already been accomplished in the Carpathians is promising, including the international conventions and the EU action plans, but that illegal logging and wildlife crime are still problematic in the region and are often connected to other types of organized crime. Despite improved legislation, 1,8 billion m3 timber is still lost each year. In theory, everyone wants biodiversity, but the question of “how?” is complicated. The lack of coherent policy was mentioned several times as a major obstacle in efficiently dealing with the problem of both illegal logging and wildlife crime. The socio-economic problems in the region also create an incentive for these types of crime, thus these underlying problems also need to be addressed. In addition to a lack of implementation of existing legislation, crime often crosses borders whereas legislation does not. There is a further lack of transparency in forestry and forest planning, according to the report. Limited resources for monitoring the issues in the forestry sector – even for paying wages – is a problem which can, in turn, make it difficult to fight corruption. Sustainable solutions need sustainable finances! It was also stressed that it is important to treat wildlife crime and illegal logging as problems to be put before regular prosecutors and judges and not only to be managed by the forest and environment authorities. Regional problems need regional solutions, making it important to think local. It is also important to stress the benefits of nature conservation. For example, the argument that Natura 2000 provides income of around 300 million euros, while costing only 5,8 million euros, was again brought up, but without discussing who pays and who receives the benefits. The importance of including this in next EU budget was mentioned. The EU Timber Regulation is a tool against illegally harvested timber and products, but further efforts are needed both in the state and the private sectors, including a more efficient legal framework and better tracking of timber. Several of the presenters also cautioned against the attitude that “they should solve the problems we created” approach. The Carpathians have a larger portion of the remaining old growth forest in Europe than any other region. Managing this area does not exclude economic activity, but it must to be accomplished in accordance with sustainable forest management and anchored in the local community. Strengthened legislation and sanctions need to be applied and there is a need for further inventories: we can’t protect what we don’t know we have. A silent season has been introduced, and automatic traps prohibited. There are also legislation for the protection of OGF (Old Growth Forests). State forest timber is electronically monitored to make sure that none of it comes from illegal logging, and 79 criminal cases of illegal logging and poaching has been prosecuted so far – the legislation is not only there, but is being implemented. However, there is a lack of awareness of the seriousness of the crimes among the general public, and as much of the implementation of legislation is handled on a local or regional basis, there is a high risk of local politicians being voted out of office for being tough on wildlife crime. The work to raise awareness and create better tracking system goes on, an there is also an aim to remove bureaucratic obstacles that might make investigation and prosecuting of wildlife crime harder. Apart from the report, there are official, more recent data on illegal logging and wildlife crime. 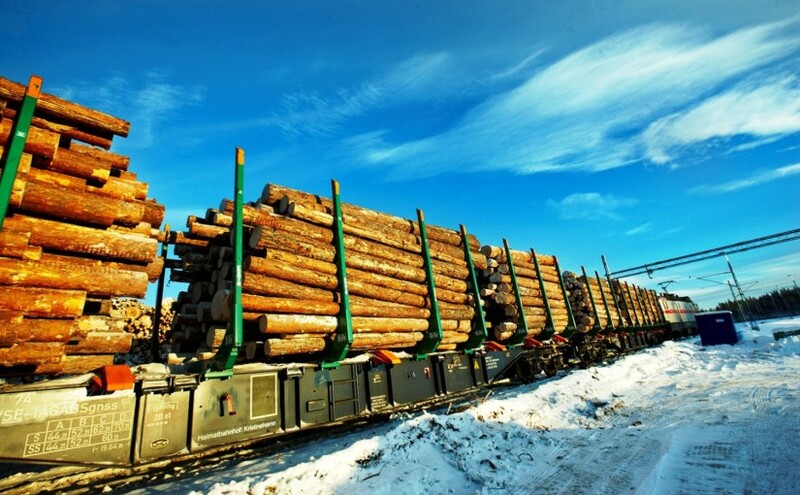 Romania is a net importer of timber, so it’s not like it is flooding EU with illegal timber. Also, not all timber is illegal, and it’s important to remember that in the discussion. Penalties and sanctions have been introduced to even further curb the illegal logging. The SUMAL (Integrated System for Wood Tracking) was introduced in 2008 and is now improved with electronic real-time tracking, and the volumes of illegally logged timber have dropped significantly over the last years – although the problem, as stated in the report, is still there. The forest guards will be coordinated and the efforts are to be tied to national legislation. The 2017 Bioenergy Future annual conference gathered over 260 participants who discussed a rich variety of topics and national cases and examples of the many forms of bioenergy and renewables. There were addresses by Jyrkki Katainen, Vice-President of the European Commission, and MEP Christopher Fjellner (EPP/SE) and MEP Nils Torvals (ALDE/FI). In his opening speech, Mr. Katainen mentioned that not only does the bioenergy sector employ more than one million people across Europe, bioenergy is also our most versatile renewable energy source and the best option to decarbonize the heating and transport sector in the EU. Mr. Fjellner underlined the need of more bioenergy and fewer fossil fuels, stating that EU policy should concentrate on how bioenergy can best be used rather than on how to regulate it more. Olof Johansson, Forestry Director in Sveaskog, represented EUSTAFOR during one of the key panel debates and provided state forests assessment of the sustainability of forest biomass as a part of RED renovation. The other sessions of the event provided several insights on different developments in the field of bioenergy, such as the Organic Rankine Cycle (ORC) technology, that allows for both heat recovery and power generation. Smaller “bioenergy plants” – in this case, pellet stoves for private use – have made significant developments over the last few years with stoves becoming more efficient, producing fewer emissions, handling various pellet sizes, being better insulated and using less electricity. Another session – “A look around the world” – included several presentations on the demand for European technology outside Europe, with many interesting case presentations from Japan, Ukraine, China, Brazil and Canada. The AEBIOM conference ended with an outlook on both bioenergy in the wider perspective of the bioeconomy and the future. The share of renewables is growing throughout the EU, but heating and transport lags behind, partly because of uncertainty about legislation. Already today, we use more biomass than oil in total if measured in tons, although in energy equivalents, oil still dominates. That is why today’s biomass is not quite enough to make the transition to a fossil free society. But there are few alternatives available for non-fossil fuels other than biomass. 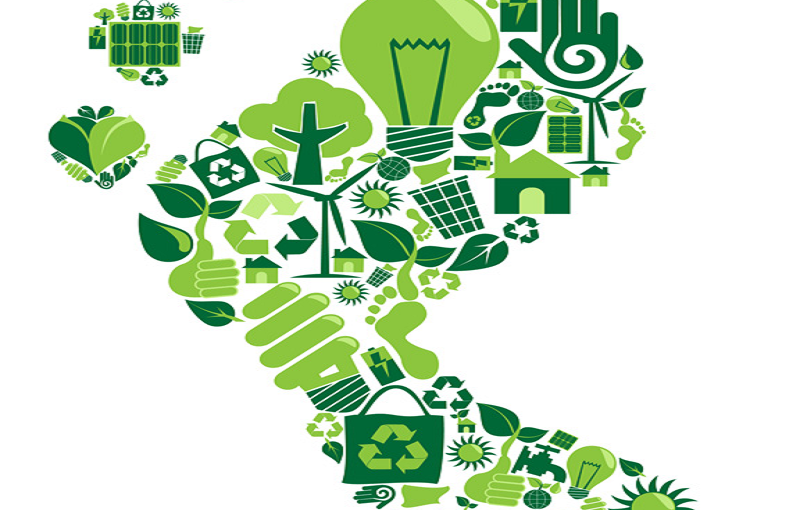 The bio-based sector is very fragmented – both in terms of number of actors and geographically – and the value chain therefore faces many challenges and risks, not the least that Europe will lose its lead to the growing Asian economies. The FOREST EUROPE Expert Level Meeting (ELM) took place in Bratislava, Slovak Republic, on 28—29 November 2017. The main items discussed were the recommendations for the future direction of the FOREST EUROPE process. EUSTAFOR’s Executive Director took part in the discussions along with 53 delegates representing 33 signatory countries and the European Union, and 11 representatives from 7 observer organizations. The ELM was co-chaired by Boris Greguška (Slovakia) and Lucia Tornos (Spain). Peter Kicko, General Director of the Forestry and Wood Processing Section of the Ministry of Agriculture and Rural Development, Slovak Republic, welcomed all participants on behalf of the host country. The participants discussed the final report of the Working Group including the recommendations for the future direction of FOREST EUROPE, the implementation of the Work Program and the progress made on the preparation of the State of Europe’s Forests (SOEF) 2020. Furthermore, examples of communication activities related to the implementation of FOREST EUROPE’s political commitments were presented, such as the Austrian national set of indicators for SFM assessment, European INTERGRATE Network as well as the FOREST EUROPE communication campaign launched at the occasion of the 4th European Forest Week. Presentations, all related documents, as well as summary minutes will be available as soon as possible on the event page. You can find a photo gallery from the meeting under this link. The seminar “Building with Wood” was organized by the Committee of the Regions (CoR) on 21 November 2017 in Brussels. It was attended by a large group of woodworking industries, construction employers as well as representatives from woodworker unions. With the growth of urban areas, the need for new houses will continue to increase at least until 2050. Today’s wooden buildings meet the highest fire safety standards and are a great alternative to ‘traditional’ concrete construction. Wood buildings are environmentally and worker friendly, but also consumer friendly. To live in a wooden house is better for your health, and it also creates housing where people are happy to live. A properly maintained and repaired wooden building lasts longer than a house built in concrete, storing carbon for as long as it is in use (climate change mitigation) and, when the building can no longer be repaired, it can either be recycled or used for energy (fossil fuel substitution). The technology involved in building with wood is also a lot more advanced than people generally think: today, it is not only possible to build multi-storied passive houses, there are also many hybrid structures available, such as timber/concrete composites. Advanced scanning of raw materials and computer modelling enable architects and producers to already work together before construction starts. In forested regions, building in wood also has the further advantage that raw materials can be sourced locally, minimizing the need for long transports. Building in wood should be promoted by the EU policy and agenda as an important part of the circular bioeconomy! Although Japan has a long tradition of building in wood, this is largely limited to detached single-family homes. Wooden buildings are more resilient to earthquakes than concrete ones but, historically, multi-story houses have been illegal due to fire hazards. Today, this is no longer a practical issue due to new building techniques and changes in the laws. However, consumers are harder to convince. Building in wood, referred to as “woodification,” is being promoted with, for example, the construction of new public buildings in wood. A phenomenon not commonly seen in Europe is the relocation of wooden houses. With a shrinking population, houses are often left empty. Relocating them might be a solution – especially for high-quality buildings. Compared to pulling the buildings down, this is of course preferable from a carbon sink perspective! In conclusion, Japanese consumers largely prefer to live in detached wooden houses, but still maintain a conservative outlook when it comes to new technologies as well as a fear of fire on a city scale. Challenges: the wood supply! A dialogue between the EESC and the industry is needed, to level the playing field and promote investment in the sector. Another challenge is to attract young people to the sector; not only wood building, but the entire forestry sector. One important part of the solution is of course to invest in education as well as vocational training, but also remember that wood-workers have learned new skills for hundreds of years, and that the experienced workforce could also benefit for additional training. The concept of life-long learning is a key factor for the success of wood building. 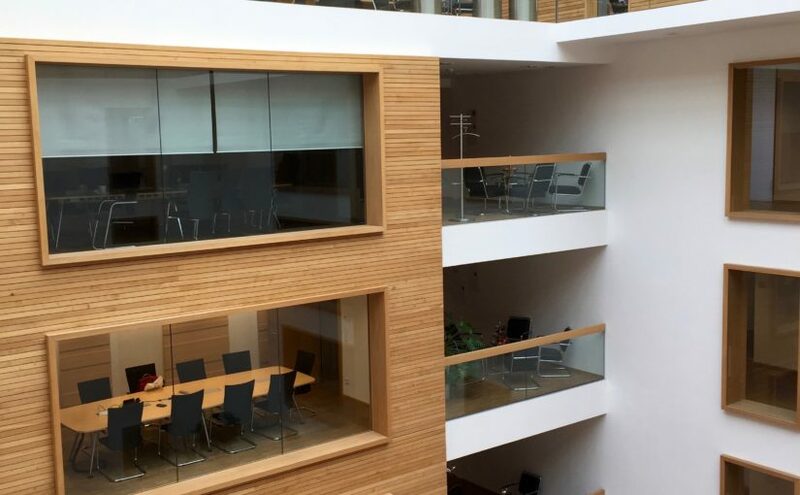 Although wood generally is worker friendly it is important to continually study and evaluate the effects of factors such as dust and the chemicals used for example fire-proofing. The social partners need to work together to monitor these issues, now and in the future. Conclusions: As always, it is a challenge to reach outside the “forest sector bubble”. Of course, we can do more if we as a sector – from primary producers to architects and builders – work together. But maybe we should also talk less about the sometimes intangible concept of reduced carbon emissions, and start to talk more about how houses of wood are simply nicer to live in? Eustafor support the overall promotion of construction in wood as one of the avenues towards the EU bioeconomy. Also the relationship and cooperation labor unions remain within interests of our association. 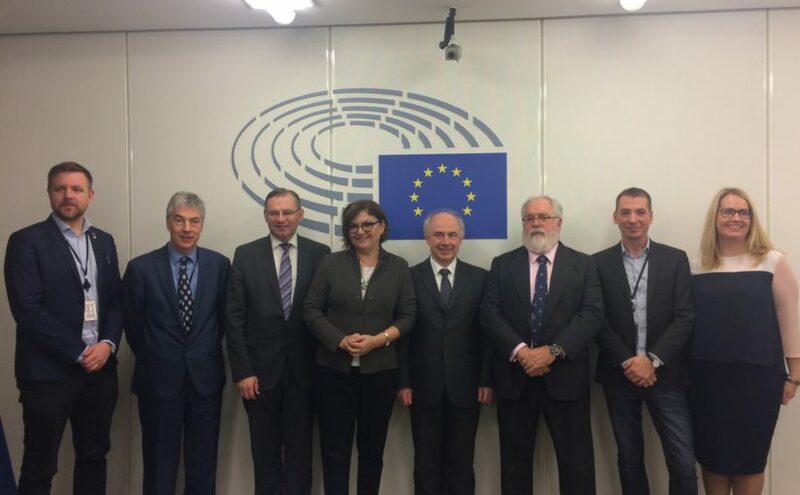 The Standing Forestry Committee (SFC) and Civil Dialogue Group on Forestry and Cork (CDG) met jointly on 5 December 2017 in Brussels to discuss the implementation of the EU Forest Strategy and how to prevent huge forest fires in the European Union. The meeting took place on the occasion of the up-coming mid-term evaluation of the EU Forest Strategy. The meeting agenda and all relevant documents are available under this link. Back to back with the joint meeting, the CDG met for its regular session. The main items discussed were the Commission’s Communication on the future of the Common Agricultural Policy (CAP) and Rural Development (RD) post-2020 as well as the ongoing review of the EU Bioeconomy Strategy. The CDG also elected Lennart Ackzell (LFA/Sweden), representing Copa and Cogeca, as its Chairman. Olof Johansson (Sveaskog) and Piotr Borkowski from the Brussels Office represented EUSTAFOR in both meetings and contributed to the discussions. An event on Public Procurement was hosted by the Bioeconomy Region, a project co-owned by Swedish Region Värmland and their neighboring Norwegian regions of Østfold, Hedmark and Oppland. Sara Östh from the EUSTAFOR Exectuive Office joined the event. Conclusion: It is possible to choose greener solutions, also in public procurement, while keeping the process transparent and fair. As an introduction to the roundtable discussion, there were several presentations. The European Commission’s DG GROW presented its work on a new guidance document, that is to be finished in 2018 (it is possible to comment on the DRAFT until 2 January 2018). Many of the presentations focused on projects that had already been carried out, as well as some of the obstacles in upscaling a project from a pilot to a new practice. The regional scale of the examples allowed to focus on a hands-on approach which not only exposed the many challenges but also showed examples of how they could be overcome. The challenges, among others, are that public procurement is often seen as a “department” within the regional authorities – which sometimes creates a narrow field of vision -, the lack of professional procurers as well as the problem of short-time budgets for long-time gains: a greener solution might be more expensive within the budget period, but can be more economically sound in a longer perspective. Also the contractors and the market in general are not ready to supply the solutions that are needed. Cooperation and specialization – If several small regions work together, their procurers can collaborate, too. This allows for a specialization that would not otherwise be possible. There are many small projects which cannot, on their own, justify market investment in new technologies. Through cooperation between several small projects, a significantly larger budget can be created, leading to new possibilities. The results of this type of synergy was seen in the case of the Norwegian zero-emission building projects, which was originally considered to be impossible to achieve due to the large investments needed on contractor level. Communication with the market – By communicating with the market prior to the formal call for tenders, the market can be prepared and/or give input back to the procurers on possible solutions. While procurement regulations do not allow for technologies to be specified, dialogues with the market are allowed. These dialogues are especially useful in order to assess new technologies and innovations. Traditional procurement often has such a short time-frame that the market does not have enough time to properly prepare a new solution. By communicating with the market, procurers become aware of possible new solutions. Education – By educating procurers on the limitations and possibilities of public procurement legislation – they will be less reticent to undertake more creative processes towards greener solutions. Start on a small scale – It’s possible to use a new technology for a small portion of a project and share the economic risk with the provider. Many companies who provide new innovative solutions are small and in the start-up phase. They often find themselves left out of big public procurement schemes. Conclusion: It is possible to choose greener solutions, also in public procurement, while keeping the process transparent and fair. The Common Agricultural Policy for the EU is currently being reshaped. The aim is for the CAP to be modernized and adapted to, for example, better align it with the sustainability goals. A major issue to be decided is whether the direct payments should be replaced by result-based payments and, if so, to what extent. On 29 November 2017, the Commission published a Communication: The Future of Food and Farming which was discussed by the Council of Agriculture Ministers on 11-12 Dec 2017. May 2018: Future Multiannual Financial Framework beyond 2020 will be adopted and will also provide a financial framework for the new CAP. May-June 2018: Legislative proposals on the CAP post-2020 will be presented by the Commission to the Council and the EP. EUSTAFOR is currently working on a position paper regarding the CAP and RD beyond 2020 which will provide state forests contribution to this process.